Cadland House, home of the Drummonds near Fawley, in the New Forest and on the Solent. The present Cadland House is set within beautiful grounds laid out by Capability Brown. His son-in-law, Henry Holland, designed the cottage 'orne' as part of a much larger commission that included Robert Drummond's seat some five miles to the north which was sadly pulled down after the Second World War. 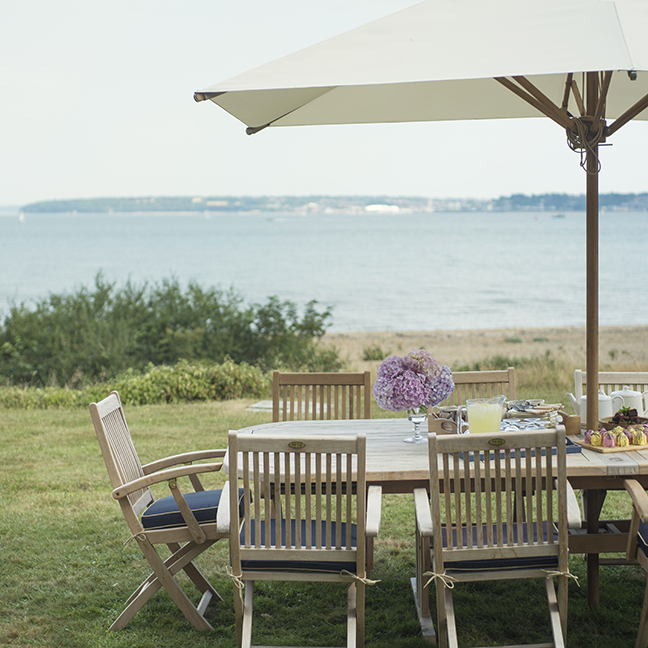 With its spectacular view of the Solent from the house, nature reserve private beach, working kitchen gardens and greenhouses, Cadland House is a totally unique place for all whom visit. Interiors by David Hicks encase an important collection of family paintings and furniture, the curation of which alongside maintaining and modernizing interiors are a passionate area for designer Fiona Drummond.